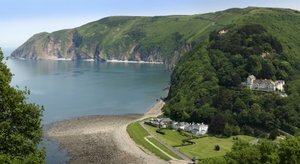 Today make the border crossing into the North Devon Coast at “County Gate” passing through grand estates, a unique cottage church and some ever more challenging walking on route to an overnight in the enchanting seaside village of Lynmouth. 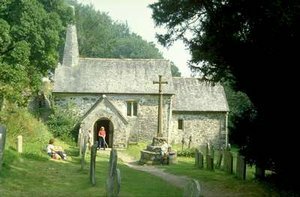 Leave Porlock behind with a gentle ramble zig zagging through Yearnor Woods and looking carefully for Lord Lovelace’s follies poking out from the oak, pine and holly. As you navigate up the slopes above Culbone Rocks you enter the former leper Colony where the afflicted worked the woods by burning charcoal. Pause to enter the colony's diminutive Culbone Church officially the smallest and perhaps most secluded in England, ancient oak pews crammed into a space only 35 feet by 12 feet and holding a maximum of 30 people it’s been here since the doomsday book and had its own Lepers window for those who were not let in. Rounding Sugarloaf hill you move into the beautiful mixed woodlands of the Glenthorne Estate where several choices of path allow you to wander deeper through Victorian rhododendrons and a Pinetum, past stone pillars capped with wild boar heads, trout lakes and even a tunnelled ice house hidden under huge towering 100 feet pines. Take lunch down to hidden Glenthorne Beach past the remains of the estate's jetty and boathouse. In the afternoon you cross a seemingly endless run of youthful bubbling streams rushing and cascading through gorse, heather and scree slopes before they drop to the ocean far below. The walking and the place names get noticeably wilder as you negotiate the steep coombes and valleys of Dogsworthy and Desolation Point. 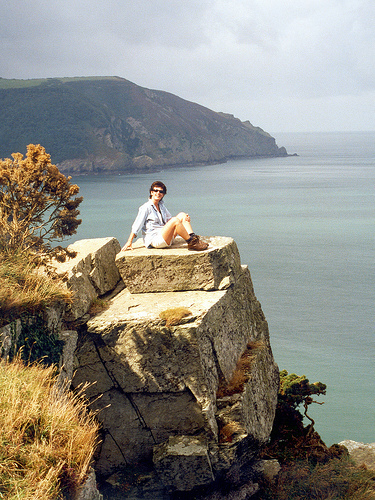 Woodland recedes for open cliff path passing the lonely lighthouse at Foreland Point - the Devon Coast's most northerly point before you end a satisfying day descending from the cliffs of Butter Hill to cross the bubbling River Lyn chasm to arrive in the Victorian “Gorge resort” of Lynmouth.